When we’re writing this post about Best Bootstrap 4 Templates in 2018, there’s scarcity of this particular category. Because the framework is “just arrived” and needs time to be stable, you guys have to wait for a bundle of products. 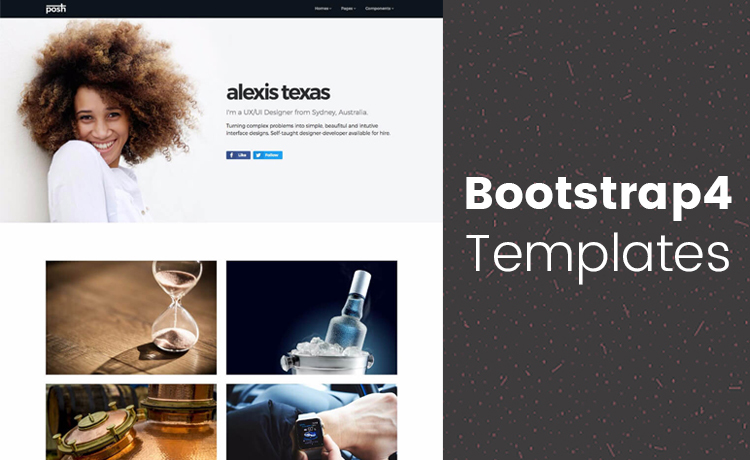 Nevertheless, we have collected some of the best Bootstrap 4 templates available in the market right now. Bootstrap 4 is the most expected release for web developers. After several alpha releases, Bootstrap 4 has now come to beta. And, there’s so much new in the latest version. It’d be better to read the Bootstrap 4 exciting features first. Along with much novel inclusion, there are several components they dropped. Let me help you go through the Best Bootstrap 4 Templates till now. Here’s a line up of best Bootstrap 4 templates in 2018 we compiled with our sincere judgment. Every template of the list below is a terrific one due to their excellence in performance and supremacy in design. Let’s just get into it. Posh is one of the best Bootstrap 4 templates, for the users who seek only for the high-standard templates. Besides all the top-notch features, Posh is made for the users of all skill levels. From big nerd designers and developers to newcomers – everyone can customize and build a site. Whatever your need is, this creative and multifold template will take care of it. Posh is for the designers and developers who want to see a polished and captivating website without spending too much time or effort. Hundreds of ready helper class, homepage demos, pre-made components, and unique sections make this template the fastest and most persuasive. Besides the design, it’s equally important that a template must be highly-efficient. 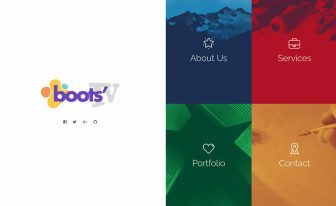 Boots 4 is an early creation amidst best Bootstrap 4 templates in 2018. Right after the release of the newest Bootstrap 4, ThemeWagon surprised the world with this wonderful template. If you want to make a mobile-friendly website that works smoothly on every platform, you should get Boots 4. Not only the functionality but also the design is too engaging to blow visitor’s mind. We update the template regularly and make it available for the buyers. Also, free customer support is always available no matter what’s the issue regarding Boots 4. When you’re looking for the best Bootstrap 4 templates, here’s a stellar template at your fingertip. BizPage is the ultimate solution to your business websites that need to be made right away. Of course, there are many free templates available out there but not anything much like BigPaze. Not only the template is mobile-friendly but it also has an off-canvas menu for the mobile devices only. Other than this, the dropdown menu, carousel slider for testimonial and clients, and 14 beautiful section will help you big time. And, the most telling part is the working form it brings, I think. The parallax scrolling and smooth browsing will come handy at times. We tried to cover various categories while writing the post on best Bootstrap 4 templates. From that view to carrying on, here’s a free Bootstrap 4 admin dashboard template. Built with the modular base, this template has all the ready components to personalize your dashboard according to yous need. As you’ll get buttons, tables, forms, cards, you’ll also get different tabs, grids, typography, and other elements. Powered by Morris and Flot, it will give you several charts variation to present data. In addition to all of these, there’s a fourth-level dropdown menu. And, icons from Font Awesome are truly useful. The 7 ready pages for login, registration, 404, and 500 are also beneficial. A UI kit is a blessing to save your time and effort while you’re going to build a website for your purpose. Shards is lightweight yet competent UI kit that has enormous features for reducing your labor. It has eight color schemes to choose from and a great number of options for the form control. In addition, there are sliders and date pickers allowing an easy control. Moreover, cards, buttons, tooltips, alerts, navbar, there’s everything if you are seeking for the choice that can make your journey more comfortable. 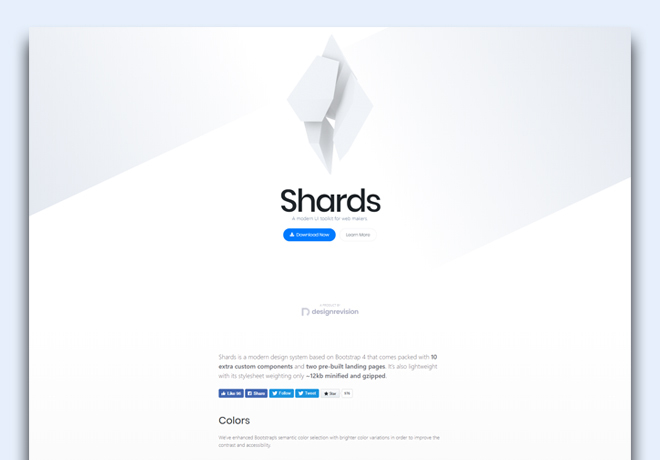 Considering all the benefits, Shards is a great member of the best Bootstrap 4 templates. Do you love clean and intuitive interface? Avilon surely comes with that and some more. 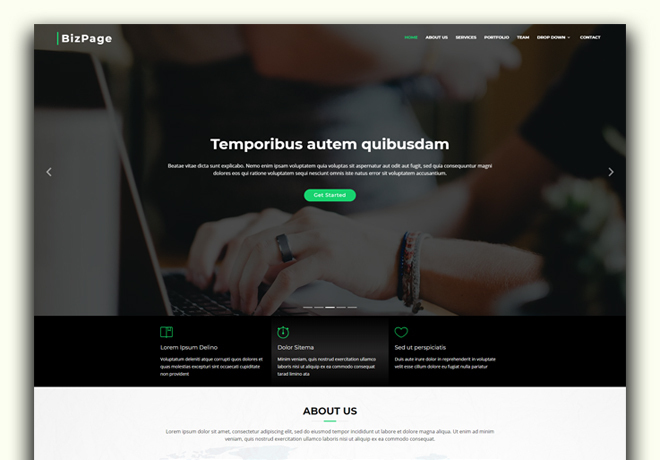 It’s a landing page template and one of the best Bootstrap 4 templates in terms of design and quality. Websites made with Avilon are great, especially on mobile screens. In like manner, there’s a dedicated off-canvas menu for the mobile devices only. For software, mobile apps, and any other digital products, Avilon offers the perfect platform. A contact form with JS validation is surely a superb advantage. Then, the dropdown menu, call to action, and gradients simply add more value to the template. 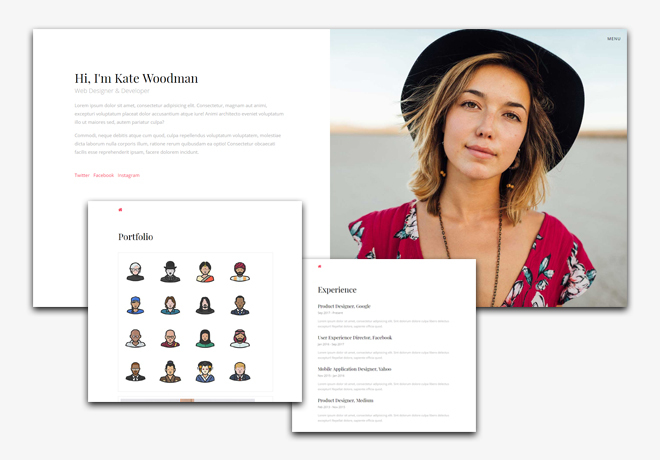 Personify is a well-built, promising, mobile-adaptive, fast, and reliable CV/resume template. In order to make a personal or portfolio website Personify offers a well-rounded facility that covers everything. 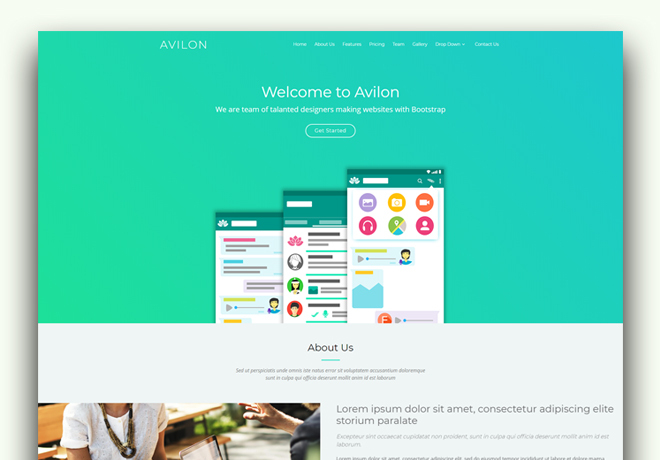 Also, the wide and simple layout is ready to make your employer or audience satisfied. Furthermore, you will get four pages to tell stories and describe the qualifications. While you can add your portfolio to the profile page you can add your qualification details on the resume. Similarly, the contact page allows the users to connect you with their queries. It’s one of the best Bootstrap 4 templates because of the advanced features it contains. AppStrap is a multipurpose, fully responsive, high-grade template. 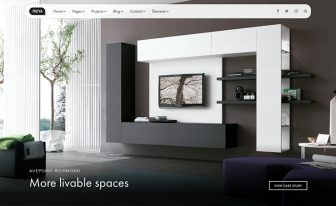 With its endless features and ready-to-use layouts, you can build an outstanding website for your projects. 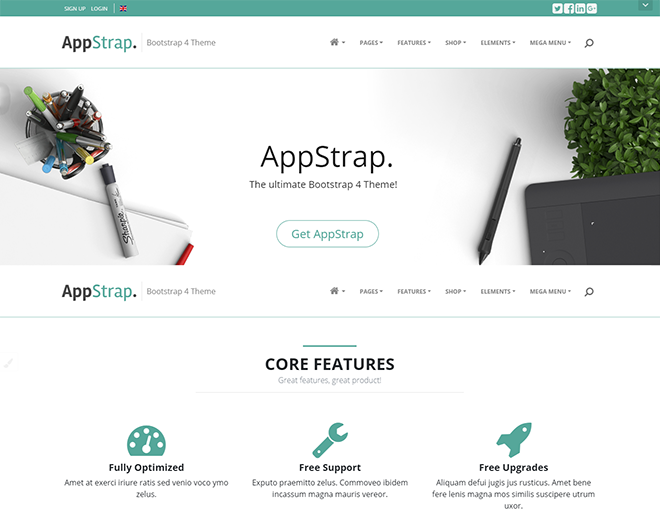 Among the best Bootstrap 4 templates, AppStrap is a fantastic one. With a clean & simple design, Appstrap offers multiple color schemes to make your site more visually appealing. Also, the base of Saas and other cutting-edge technology helps to create the template as an extraordinary one. Pages is an admin dashboard template based on Bootstrap 4. For creating a functional, easy, and efficient web interface, use Pages. It has top-class editing choices and mobile-ready structure. With enormous customizable features, each layout of this template will let you create a wonderful dashboard. Many style options are available so that you can design the way you want to see. Above all this template is one of the best Bootstrap 4 templates in 2017. After all, you don’t want to spend your money for some crap. That’s why we have significantly reviewed the list so that it can assure the ultimate value. Material Pro is also an amazing creation based on Bootstrap 4. 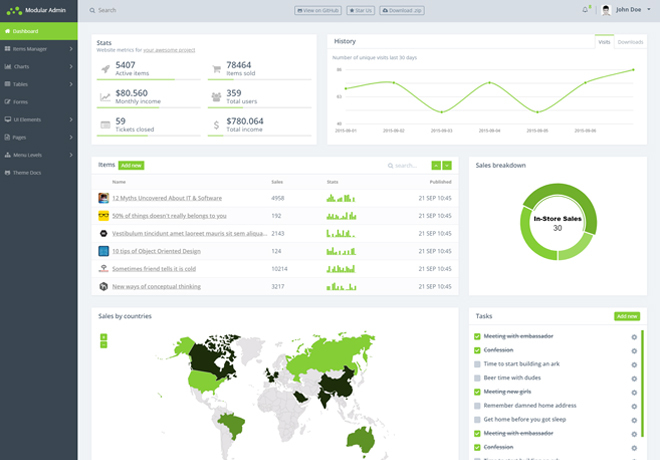 This is an admin dashboard to control over a large website. On every mobile device, the template looks totally fit regardless of the screen size. That’s the real beauty of it. By utilizing all the Bootstrap components, Material Pro gives you an unforgettable layout to be awesome with your website. If you’re looking for best Bootstrap 4 templates in 2018, you must check out this outstanding template. Instead of looking hard here and there choose Material Pro. Basic is a well-crafted, outstanding, magnificent, and 100% responsive template built with Bootstrap 4. As it’s a multipurpose template, it’s a perfect match for business, portfolio, landing, and agency websites. 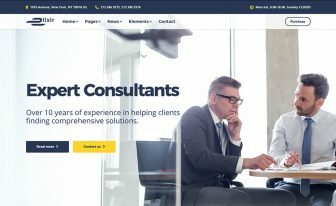 The simple, unique, and modern design of this template let you make a wonderful, user-attracting site with easy steps. Basic is a crucial part of the best Bootstrap 4 templates in 2018. An exemplary template like this one will ease your effort as well as let you make a mobile-friendly website. 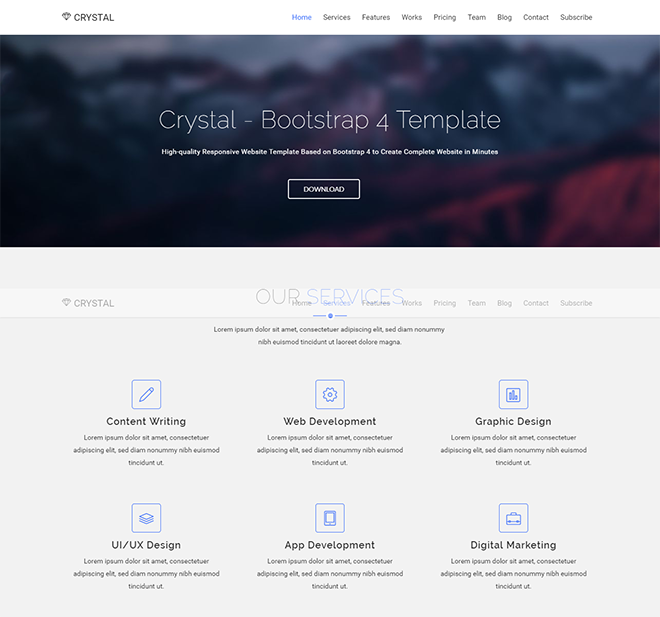 Crystal is a top contender among best Bootstrap 4 templates. It’s completely responsive, highly professional, extremely beneficial, truly multiverse, and entirely mobile-ready. It also comes with several handy sections, necessary components, easy settings and fluid layout. 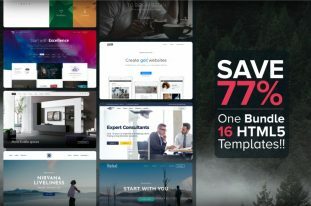 Top-grade technology like Bootstrap 4, HTML5, and others made the template worth spending a few bucks. Getting started for a new project is exciting if you have a template like Crystal. Customize with your freedom and build as the way you want. Because of Crystal’s mind-soothing interface and efficient backbone, we recommend it for you. 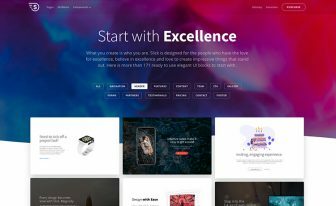 If you’re in search for best Bootstrap 4 templates, you must try Mazel, an amazing new generation template. 100+ pages, easy-to-edit templates, ready elements, and more features are available with Mazel. No matter you are a professional developer or a beginner level webmaster – the template is uncomplicated to customize. For business, online shop, portfolio, agency, blog, make whatever you need. Mazel will give an endless freedom to convert your dream to become real. Several demos, homepage variations, one page layouts, and all other ready elements. Just use them and feel the flexibility from a carefully made HTML5 template. With these best Bootstrap 4 templates, one can create websites that will work on every device with different screen size. Besides that, these templates are easy-to-use with commented codes. Get high-quality HTML5 templates to accomplish massive level jobs.